I was watching a show about how they made the Lord of the Rings trilogy, and they were talking about how they created the character Gollum. For the uninitiated, Gollum is a wizened little creature who once lived above ground and had a normal life. Then he found the evil One Ring and was corrupted by it. He killed to get it and, because of this, was driven away from his family and friends. Kept alive by the power of the Ring for centuries, he lived underground, growing paler and thinner and more demented, more like the Goblins and Orcs and evil creatures who lived nearby, more and more addicted to the Ring, his "precious." In director Peter Jackson's trilogy (and in his later Hobbit trilogy), Gollum is a computer-generated (CGI) character, and really he had to be. No human actor would be small and bony and misshapen enough to play the role. Of course, even a CGI character has to have a voice. 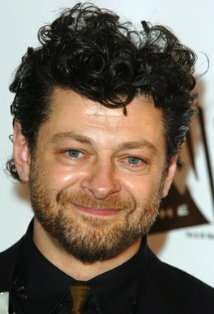 In this instance, actor Andy Serkis provided the voice of Gollum. Originally, Jackson intended to use only Serkis's voice and leave the rest of the character's creation to his crack team of animators. But from the moment Serkis began to speak the lines in Gollum's hissing-screeching-whining tones, Jackson realized that there was much more to his performance than voice. As Serkis spoke, he twisted his limbs and hunched his body and contorted his face, every facet of his performance adding to the characterization. Jackson immediately knew he didn't want just Serkis's voice. He wanted the character Serkis was creating. All of him. So, based on this, Jackson told his animation department to scrap the two years of work they had already done on Gollum and make him more like Serkis's Gollum. He still had to be a CGI character, he was still emaciated and pale and schizophrenic, but now he was more realistic than ever. Though not a human, he had a humanity that people could better relate to. He could tell his story not only with his dialogue, but with all the gestures and expressions that made it ring true. Of course, it took the talent of the animators, the directors and multitudes of others to bring that character to life as well. And each of them was, in his own way, an actor, too. Each of them, from the set director to the sound designer and everyone in between, had to use his skill and craft to portray character, to make the story live. What does that have to do with fiction? In their own way, writers are actors. They have to be able to perform each character in the story, to get not only their words right but their gestures and their expressions and their emotions. Beyond that, writers have to be directors, getting from their actors the best performance they can, not letting them be self-indulgent or shallow. Writers have to design the sets and the costumes and, while making them fit the scene and enchant the reader, not let them overwhelm the story. Writers have to carefully balance each element of the story to make a pleasing and effective whole. And, like producers, they have to provide the finished product on time. Fortunately, as long as they can afford a pencil and some paper, writers don't have to worry about the budget. The most amazing sets, the most elaborate costumes, the greatest actors and a cast of thousands are at the writer's beck and call for only the cost of a little imagination. I carry a repertory company, complete with props, sets and costumes, around in my head 24/7. What have you learned about storytelling from film? DeAnna Julie Dodson has always been an avid reader and a lover of storytelling, whether on the page, the screen or the stage. This, along with her keen interest in history and her Christian faith, shows in her tales of love, forgiveness and triumph over adversity. She is the author of In Honor Bound, By Love Redeemed and To Grace Surrendered, a trilogy of medieval romances, as well as Letters in the Attic, The Key in the Attic, The Diary in the Attic and, coming up, The Legacy in the Attic, contemporary mysteries. Her new series of Drew Farthering Mysteries will debut in the Summer of 2013 with Rules of Murder from Bethany House. A fifth-generation Texan, she makes her home north of Dallas with three spoiled cats. I have seen how CGI uses real people - often the actor portraying the character - to make them more 'real' than generated. Amazing. well said, DeAnna. I think it would be funny to watch an author write out a scene - chances are they are moving their body and face and mouth as they do it...pausing to stare into the blank wall where their film is playing in their head. Fascinating, DeAnna. I do spend a lot of time staring at the wall, but I don't move my face, mouth, or anything else. I've never been inclined. But if I was, I'd be too afraid of someone seeing me. Heh heh . . . oh, yes, I do facial expressions. I even act out some scenes so I can figure out how to describe the action. It helps me tremendously. Yeah, I make funny faces too. Sometimes I even start to say something. Or if I'm acting out a scene where someone is being catty and a smart retort is called for, my head will be bobbing. Luckily my family ignores me. I make faces when I write, too! It's interesting how often actors have to engage with a dot on a green screen anymore, or get wired in a motion-capture suit. I just read about Benedict Cumberbatch wearing a motion-capture suit for his role as Smaug the Dragon in the next Hobbit movie. Clearly Smaug will have excellent expressions! oh, thanks for letting me feel so normally odd. Susie - that's news to me about BC in the Hobbit. He's in so much these days... so Sherlock and Watson united in Middle Earth? I've also heard that it's good to watch movies without the sound and study the way people express themselves by body movement. it's a lot easier to absorb without depending on the dialogue. Hey, DeAnna - Andy's photo is definitely up now and I did miss it earlier this morning. Hooray! Yanno, I would love to watch all the Gollum scenes with Andy still in them. The little bit I saw of his audition was so interesting to watch. He really makes himself Gollum, from head to toe.